The Allegheny Mountain Chapter of Trout Unlimited will be hosting our annual fall picnic on September 19, 2017 at the Tannery Dam in DuBois. We will meet at the pavilion at 5:30 PM. Please bring a dish to pass. There will be games, prizes, and fun for all ages! Bring your fishing gear and tales of this year’s outings. For additional information, call George at 814-371-9290. Below are some upcoming youth events. Please keep in mind that to help with youth events, you need have your clearances. Please take a moment and file the proper paperwork so we can count on having a large pool of helpers with the many youth events that we are asked to do. You can learn more about required clearances at this PA Trout webpage. If you need help, feel free to reach out to any of our directors. AMCTU participates in both Clearfield and Jefferson County Youth Field Days. The Clearfield event will be held at Camp Mountain Run on June 3. For more information call Marty Hrin at 814-583-5979. Jefferson County will held at Renlow Park on June 10. Contact Kelly Williams at 814-591-1299 for more information. Fly Tying Class for Beginners! Allegheny Mountain Chapter of Trout Unlimited (TU) is hosting a beginners fly tying class starting February 9, 2017 at 7 pm at the DuBois Martin’s Community Room featuring instructor Rich Ferrara of Anita. Class is open to the public, cost is only $25 total for the 8 week course, material will be provided by TU. Participants are required to bring their own tools. TU will have a complete tool kit with vise available for sale to participants if needed for $20. Questions or to Sign Up (take payment to first lesson) contact Terry Malloy at Jim’s Sports Center (814)765-3582 or email at terry@jimssports.com. 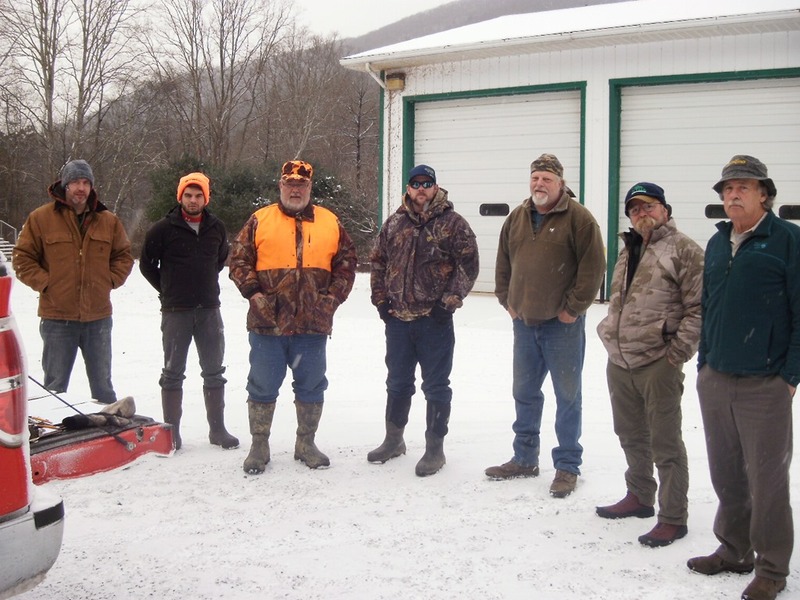 George Kutskel and Codey Schlemmer participated for our chapter in the Cross Fork redd count on 12/11/16. This is an annual event done on all the tributaries of Cross Fork. The count was much lower this year due mainly to the low water in the summer. This tributary in was completely dry in September but we did find some redds. 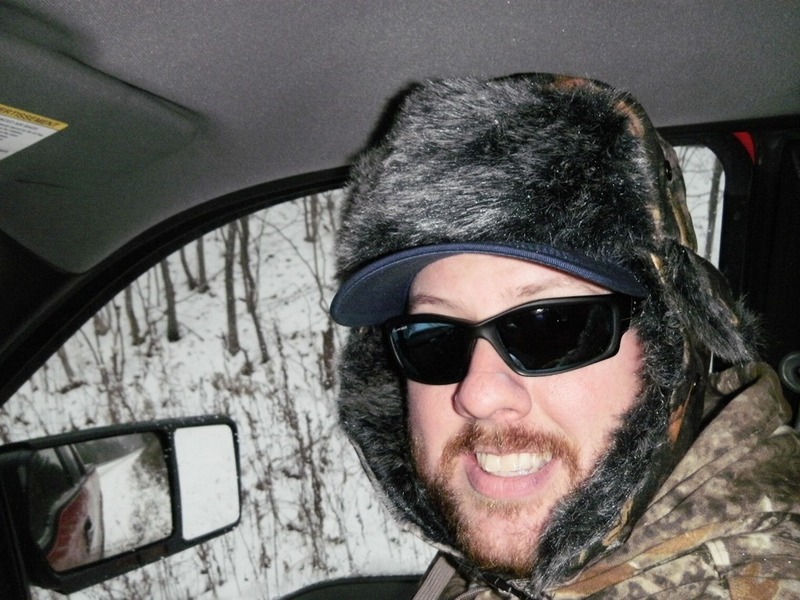 Here is the MAD BOMBER in search of trout. Are you looking for a family friendly yet free activity locally to participate in? We have just what you are looking for! The Clearfield County Conservation District and AMCTU are hosting a SMART Angler Family Fishing program on August 20, 2016 from 9-1 at the Juniata Lake/Tannery Dam in DuBois. Participants will learn the necessary fishing skills and what it means to be a SMART Angler. No equipment is necessary; we will provide the bait and tackle. 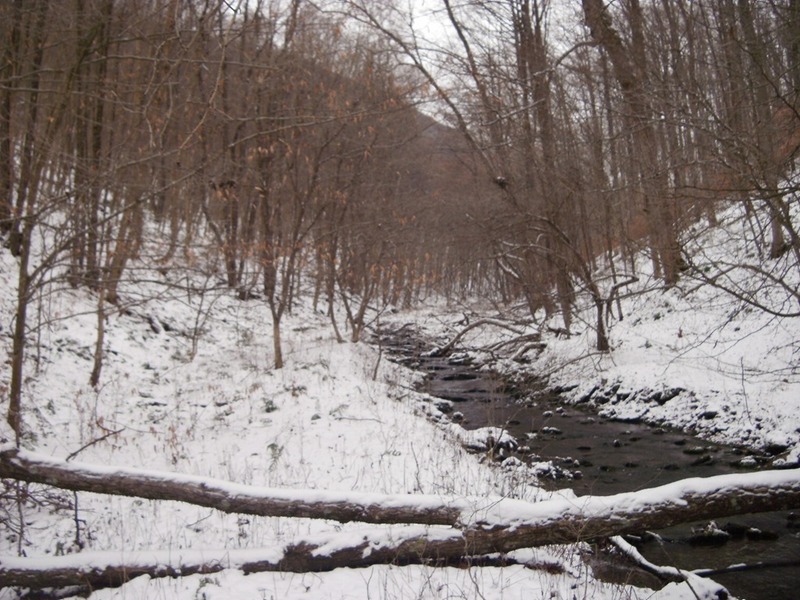 Please visit the Clearfield County Conservation District website for more information. Please note we have to limit our numbers to 30 families so please register as soon as you can! For more information about this event please contact Watershed Specialist Kelly Williams at 814-765-2629 or kwilliamsccd@atlanticbbn.net.